The All Blacks have won the Laureus World Sports award for team of the year. 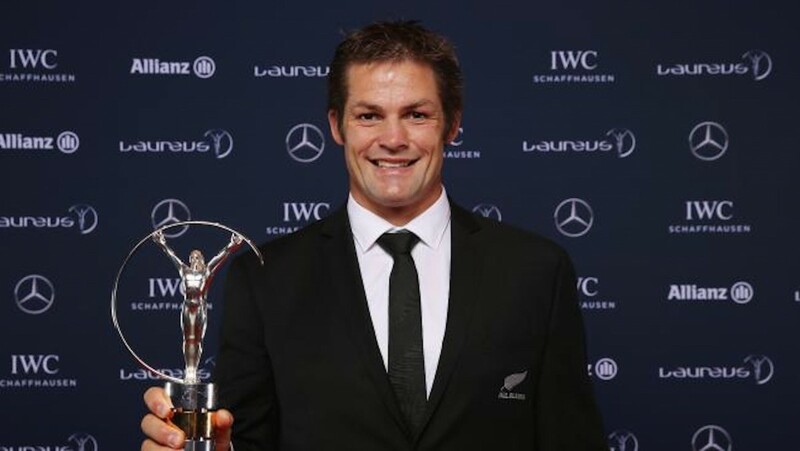 Rugby World Cup-winning skipper Richie McCaw received the award on behalf of the team at the awards in Berlin on Monday. The All Blacks beat off NBA champions Golden State Warriors, the Mercedes Formula One team, the Great Britain Davis Cup tennis team and two soccer juggernauts — European club giants Barcelona and women’s world champions the United States. New Zealand has never before tasted success at the Laureus awards, which began in 2000 and are “dedicated to changing the lives of disadvantaged children through sport, and celebrating the achievements of the world’s greatest sportspeople”. England (in 2003) and South Africa (2007) turned Rugby World Cup glory into team success but the All Blacks couldn’t similarly convert in 2011. They also missed out in 2005, 2006, 2010 and 2013 despite more strong years. Tennis stars Novak Djokovic and Serena Williams took out the individual awards. The 28-year-old Serb Djokovic won sportsman of the year for the second successive year coming ahead of football’s Lionel Messi and the sprinter Usain Bolt after winning three Grand Slams in 2015 at Australia, Wimbledon and the US Open and also picking up six Masters titles. Williams won her third Laureus award for a similar feat having won the Australian Open, French Open and Wimbledon before falling short in the semi-finals at the US Open. The American came out ahead of Ethiopian title-holder, the middle distance runner Genzebe Dibaba and skier Anna Fenninger of Austria.